SAN FRANCISCO (CN) – A powerful assemblage of environmentalists are targeting federal fisheries officials days after regulators gave California the green light on a $15.7-billion makeover of the largest estuary on the West Coast. Led by the National Resources Defense Council, the environmentalists claim that the U.S. 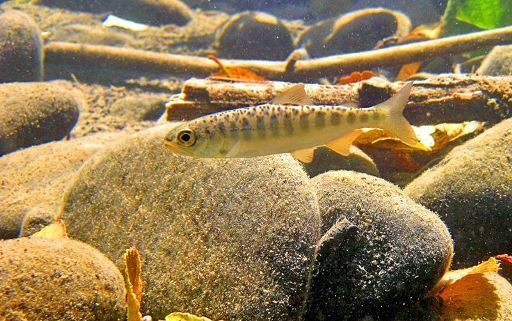 Fish and Wildlife and the National Marine Fisheries Service ignored evidence that a contentious public works project could devastate native salmon and other endangered fish species. According to a pair of complaints filed Thursday in San Francisco federal court, the regulators based their approval on mitigation plans that haven’t been analyzed or even identified by the project’s planners. “Despite the substantial environmental harm, the Fisheries Service concluded that [the project] will neither jeopardize the survival and recovery of the winter-run and spring-run Chinook salmon, nor cause adverse modification of their designated critical habitat,” the complaint filed by lead-petitioner Golden Gate Salmon Association states. The lead petitioner in the second complaint is Bay.org, also known as the Bay Institute. The lawsuits come three days after the fisheries agencies signed off on a decades-old project known as the “California WaterFix.” In a pair of biological opinions topping 1,000 pages, the regulators said the water plan could be completed without major impacts to salmon and the delta smelt. “We have concluded that WaterFix will not jeopardize or threaten endangered species or adversely modify their critical habitat,” said Paul Souza with U.S. Fish and Wildlife on Monday. The WaterFix would divert river flows around the Sacramento-San Joaquin River Delta in a pair of massive, 35-mile tunnels. In theory, the tunnels will help update California’s complex but aging water supply network and better deliver water to Southern California cities and Central Valley farmers. But after decades of planning, research and design changes, environmentalists remain skeptical of California’s largest water project since the 1960s, claiming it still violates the Endangered Species Act. They warn that the expensive tunnels would deprive the delta’s fragile ecosystem of freshwater and dry up marshland and habitat frequented by salmon and other native species. The delta, which provides water for an estimated 25 million Californians, has struggled over the years with poor water quality caused by drought and over-pumping. Proponents of the project say the delta’s ecosystem is at its tipping point. But the environmentalists say the project will only degrade the delta further. “[A]dverse effects include reduced flows in the Sacramento River, increased salinity levels, reduced turbidity, reduced food supply, increased harmful algal blooms and loss of habit,” both complaints state. The National Resources Defense and the Defenders of Wildlife join The Bay Institute and the Golden Gate Salmon Association in their request that a federal judge toss out the recently-released biological opinions. The opinions fail to consider the long-term effects the tunnels will have on the delta’s ecosystem beyond 2030, the petitioners claim. After nine years of research and debate, state officials signed off on the project in December. Gov. Jerry Brown claims the plan has been subjected to more environmental review than “any other project in the world” and is critical to California’s future water supply. The National Marine Fisheries Service did not respond immediately on Thursday to a request for comment on the lawsuits.